To change the Super Admin password, go to the Account Settings tab of the Main Menu. Next, select Profile and Login Settings from the top navigation tabs. Enter your current password, and your new password twice. Don't forget to hit Save before leaving this page! 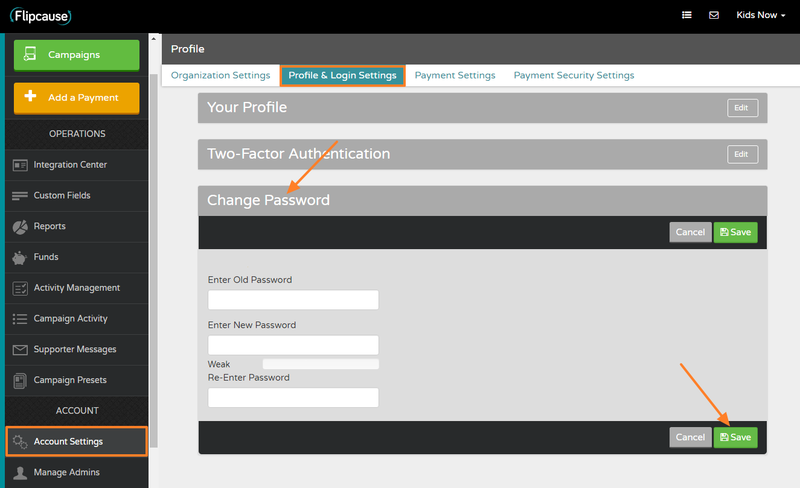 If you are not logged in to your Flipcause Account because you don't remember your current password, you can also reset it using the Forgot Password link on the Account Sign-In page, and instructions to reset your password will be emailed to the account holder.